I recently received a copy of A Forest, a Flood and an Unlikely Star, a YA novel written by J.A. Myhre. The premise was a compelling one-- it's a story about Kusimma, a 13-year-old boy who lives in the tiny, fictional town of Rwendigo in the center of Africa. This young boy has lost his mother and has been abandoned by his father, is living with his grandmother and sick baby sister in a land where resources (money, food, proper health care) come only with great struggle, and sometimes not at all. While the summary may sound bleak, the bigger story is about living life, one day at a time, in the midst of struggle and somehow finding hope and perseverance to live well. There are bits of family reconciliation and redemption at the end, and though they are imperfect moments, they are a reminder that we live in a broken world and that the best is yet to come. While I don't read a ton of fiction these days (mostly because mom-life is busy and I tend to lean towards non-fiction when I have the time) I figured I could make time to read a book marketed as YA fiction, assuming it was a bit shorter than a full-length novel intended for an adult audience. Just thirteen years old, Kusiima has no time for school, sports, or hanging out with the other boys in his African village. With no father or mother to take care of him, he works long hours to support his grandmother and sickly baby sister. Then one day, Kusiima’s life suddenly changes when he travels into a nearby protected forest. In the forest, Kusiima is presented with many choices, all with uncertain outcomes. Should he go along with illegal logging? Help to save an endangered baby gorilla? Follow a donkey to who knows where? With each choice, Kusiima has to make yet another decision about what is right in front of him. As he does, he meets a mysterious doctor who holds the key to his past and his future. In the end, Kusiima is faced with the hardest choice of all. Can he forgive a great wrong and heal a broken relationship? J.A. 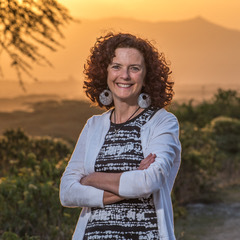 Myhre, the author, serves as a doctor in East Africa and is passionate about health care for the poor. Myhre wrote this book, and two others as Christmas presents for her own children over the course of several years, which I think is incredible! 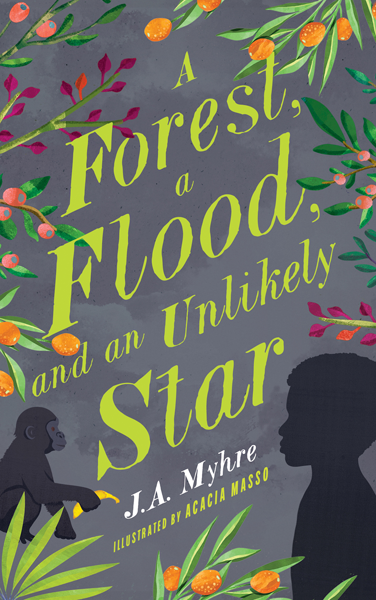 A Forest, a Flood, and an Unlikely Star is an engaging and interesting story that explores a culture, and the multifaceted issues of poverty, the healthcare crises and other interpersonal struggles related to these things in many remote African villages. It is a beautifully written book, that excels in developing the characters, the land around them and how the people and the land impact one another. While I did find the book a bit slow in pace, I was intrigued by the story and wanted to finish. I needed to find out what happened to Kusiima and his family! It is a beautifully written story- I will always sit through a book-- even one that does feel slow-- if the writing is good! While this was written for the author's children and marketed as YA literature, it is not a book that many young adults (that I know) will pick up on their own. That said, I think it's an excellent book to read alongside your young adult readers, to use as part of a classroom or homeschool curriculum, particularly while studying African culture. It's an excellent choice to help open a young person's eyes to the bigger picture of struggle in the world: In summary, YA's might need to be nudged towards reading this, but there will be great value in the experience. There is much to be learned and appreciated in this series of books. I definitely recommend this book to young adult readers (maybe 10 and up? ), as well as adults interested in the themes/landscape explored. To learn more about J.A. Myhre and this book click here. To order A Forest, a Flood, and an Unlikely Star on Amazon, click here!